How does Capsinol nasal spray work? 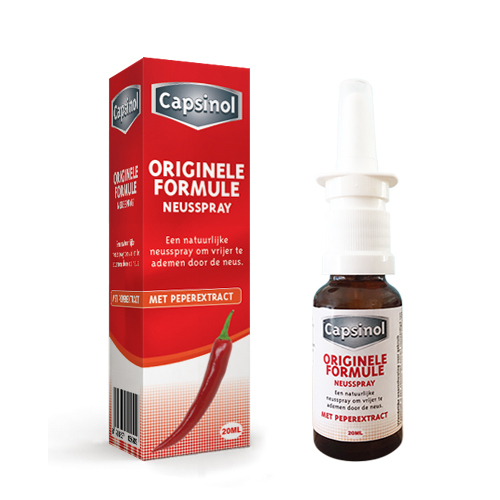 Capsinol nasal spray contains capsaicin. This is the active component in chili peppers which causes the hot sensation. Medical research has shown that this component, capsaicin, is effective for (chronic) nasal problems, such as chronic nasal congestion or a runny nose. – capsaicin has a stimulating effect on the nasal mucous membranes and causes them to diminish the production of mucous. This allows you to breathe freely through your nose. – capsaicin builds up the resistance of the nasal mucosa; consequently, the nose responds less sensitively to outside influences. – capsaicin also has an anti-inflammatory effect. Most people experience relief directly after administering Capsinol. They are quickly able to breathe freely through the nose. In some cases, it may take a little longer for Capsinol to be effective. We therefore advise you to use the spray for at least two weeks (about one bottle of Capsinol). If you have not experienced any improvement by then, this spray will most probably be unable to alleviate your problems. Capsinol is not a miraculous remedy for all nasal problems. Each nose is different and responds differently (or not at all) to the pepper. 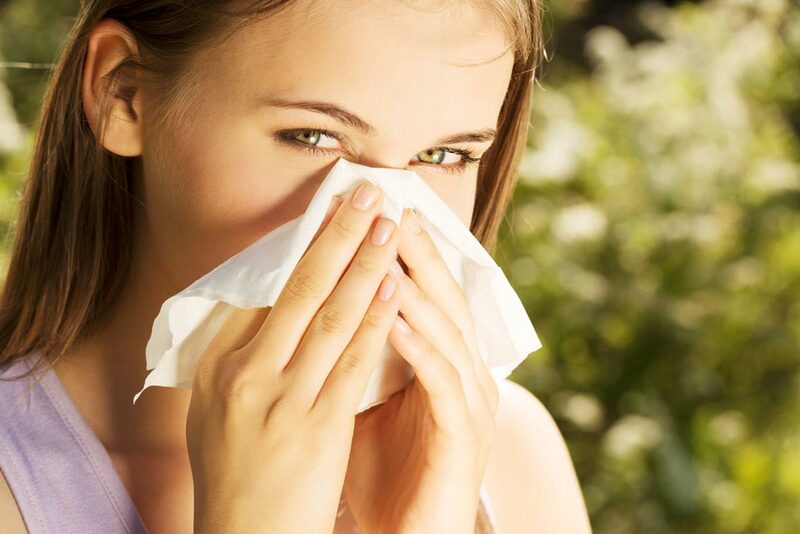 Sometimes, nasal complaints may even grow worse initially. This may not be the desired effect, but it does mean that your nose is responding to the pepper. The key is to keep using Capsinol, even if this undesirable initial effect occurs. You may (temporarily) use another nasal spray to decongest your nose until the pepper causes the desired effect. 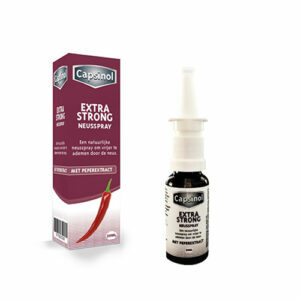 Capsinol is also effective for short colds, especially if you prefer to use a natural nasal spray. We would like to note that a nasal spray containing xylometazoline or oxymetazoline mostly provides a faster relief of congestion. Do keep in mind that Capsinol nasal spray is quite hot and spicy (comparable to a large bite of wasabi mayonnaise). You will eventually grow used to this sensation, but it may feel a little bit uncomfortable initially. Of course, not everyone experiences their first-time use of Capsinol in the same way. We have already helped a significant amount of people with Capsinol. People with a chronically congested nose, as well as people who have been addicted to nasal sprays containing xylometazoline for years. For many of them, Capsinol provided the relief they needed.